Tom in “full-on landing mode” in Perris CA. Tom is a 47 year old Mechanical Engineer from California. Tom has been modeling for over 30 years. Tom has lived in San Diego for 10 years with his wife, Betty and their six(!) cats. Tom was a member of the 2004, 2006 and 2012 US F3J teams. Tom has also represented the USA as a pilot for the 2007, 2009, 2011, 2013 and 2017 US F3B teams and was an alternate for 2001, 2003, and 2015 teams. He was the second alternate for the 2011 US F3K team. He has been a multi-time National Champion in F3J, F3B, Unlimited, and Two meter classes. Last but not least he has been a multi time Eastern Soaring League Season Champion. The Eastern Soaring League is where Tom got his start in competitive soaring and he is most proud of this accomplishment. Tom performed admirably at the 2018 F3B Team Selects to once again take a place on the US Team. He is happy to be flying Baudis Pitbull’s equipped with ultra reliable and precise MKS servos and controlled with the outstanding Graupner HOTT system. He is looking forward to seeing old friends and meeting new ones in the Czech Republic in 2019. Mike is one of the US Teams most experienced pilots. Mike Lachowski is one of the 2015 USA F3B Soaring Team Pilots. He has also been a Team Pilot in 2003, 2009, 2011, 2015, and 2017 as well as alternate in 2007 and 2013. 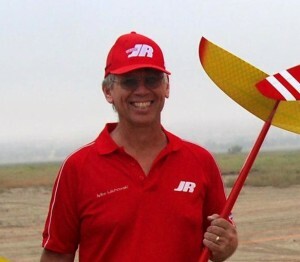 He has been going to USA F3B Team Selection Contests since 1992 and has over 45 years of R/C Soaring experience. His model choice is a Freestyler 5 with LDS driven by JR servos. Besides F3B models, he has collected US National Championships in Unlimited, 2 Meter, RES, and Nostalgia as well as the Eastern Soaring League. He currently flies a Pike Perfection, Ava Pro and Mirage in competitions. For fun, it’s aerotowing a 1:3 Orlik and a 1:2.9 Foka 4 and too many other models to count. In addition to the flying, Mike has built just about everything F3B from molds to winches, turnarounds, and even the timing and signaling system that has been used at the US F3B Events for over a decade. In March 2013, Mike became the first pilot to fly a speed run faster than 12 seconds with an 11.98 second run flying a Shooter at the Gator F3B. Mike has a BS in Mechanical Engineering and MS in Computer Science. He is retired from a large international oil and gas company and enjoys many activities like golf with his wife, Terry. Reto was born, raised and educated in Switzerland. Reto holds a PhD in mechanical engineering from ETH Zuerich, Switzerland and is specialized in high resolution microscopy. He moved from Switzerland to the US in 2009, conducting research first at Howard Hughes Medical Institute’s Janelia Farm Research Campus in Ashburn, Virginia. He is currently an assistant Professor at the University of Texas Southwestern in Dallas TX, where he develops enabling imaging technologies for cancer research, cell biology and the life sciences. Reto has been addicted to RC soaring since 1994 and started flying competitively F3B in 2001. 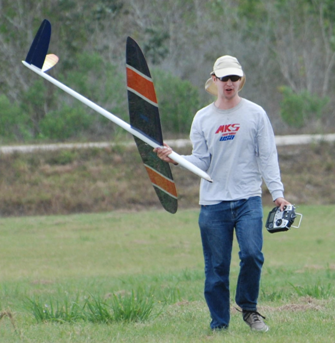 A few years later he also got involved in F3K RC Soaring and has been very successful in both disciplines. Among his greatest successes was reaching the fly offs at the first F3K World Championships in 2013, winning the Gator F3B World Cup contest in 2016 and making the US F3B team for the world championships in 2017 and 2019 and the US F3K team in 2019. 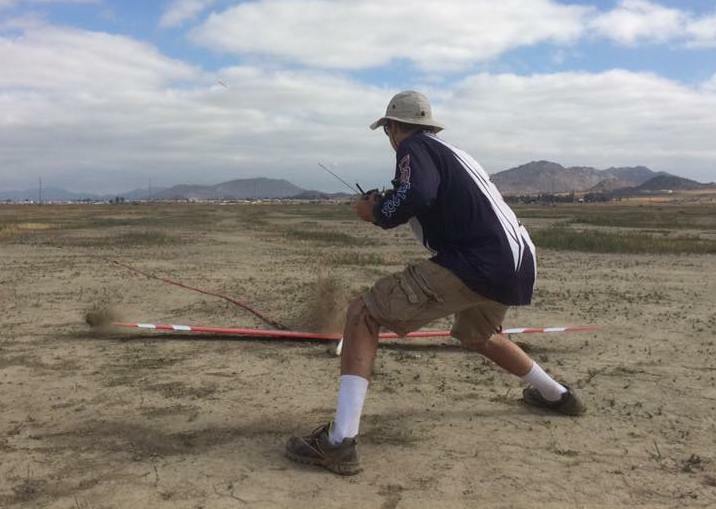 Among Reto’s successes in R/C Soaring are winning the US F3K tour in 2013 and 2014, winning “The Bruce” F3K contest in the US in 2013 and the corresponding Team Trophy in 2012, 2013 and 2014. Reto is a big fan of F3B soaring and has participated in all Gator F3B events and Team Selection trials since his arrival in the US. He really enjoys the challenge of the different flying tasks, the strategy that goes into the distance task, the precision needed to setup and fly F3B planes competitively and also the fact that there is steady progress in technology and results. Reto is proud to represent the USA at the F3B world championship in Jesenik, Czech Republic. He hopes that his analytical skills and his experience in flying F3B both in Europe and in the US will help the USA team to succeed.